Organising a world football cup implies a significant investment and the construction of new, unique infrastructures. The twelve stadiums of Russia 2018 stand out for their greatness, display of colours and avant-garde design. This majesty also distinguishes the San Mamés stadium in Bilbao, better known by its fans as La Catedral. It is a project by ACXT-Idom studio, directed by the architect César Azcárate, featuring a metal skin by IMAR arranged in flakes that tint the city with the team's colours. 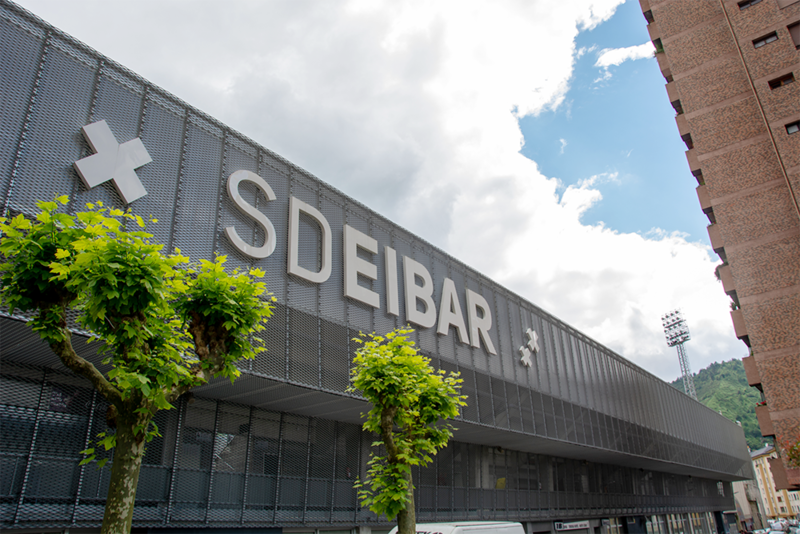 We developed and manufactured the façade cladding got this stadium with UEFA top category 4 Elite rating. 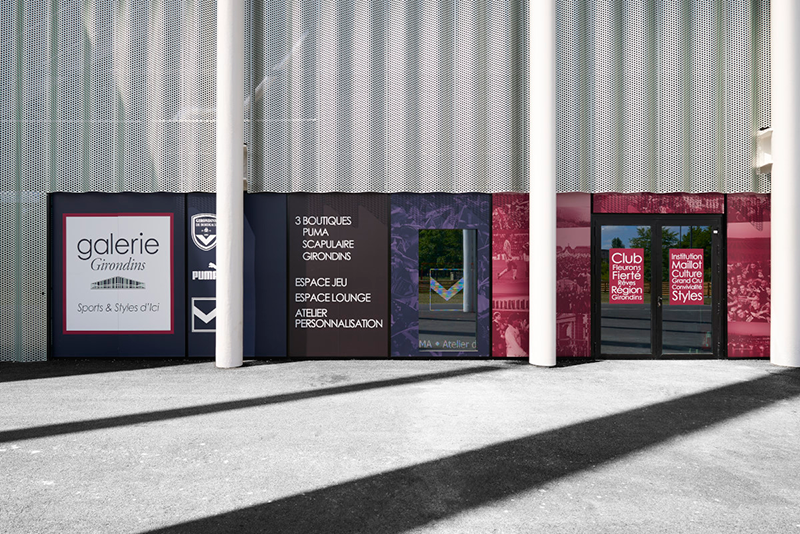 It consists of panels featuring our uniform perforation Natural Sea design, which provides a veil effect that allows light to come into the interior while regulating wind flow and allowing for natural ventilation. It is the first sports venue with LEED sustainability certification, Venue of the Year at the 2017 World Football Summit, and 2015 World Architecture Festival award in the ‘sports - completed buildings’ category. The WAF awards are considered the Oscars of Architecture. 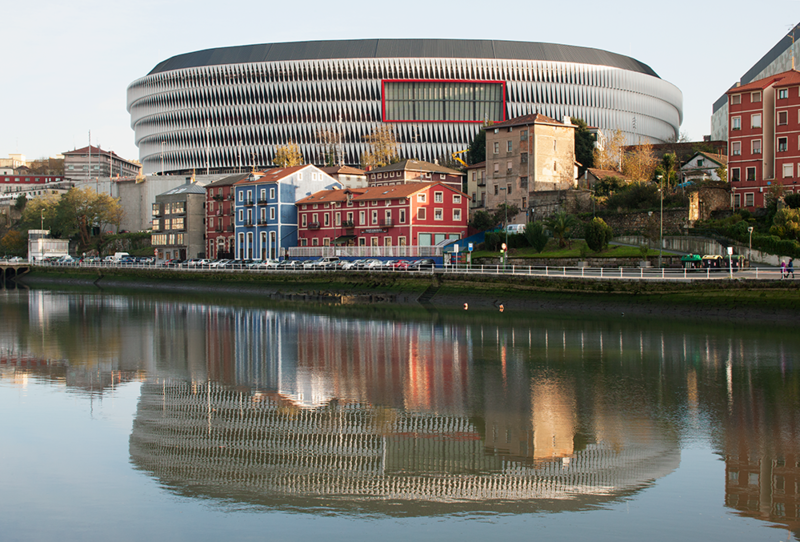 Backlighting is employed to change the appearance of the façade between day and night and its illumination has become one of the major distinguishing features of both the stadium and the city of Bilbao. IMAR was also in charge of the interior cladding of the entrance to the changing rooms. 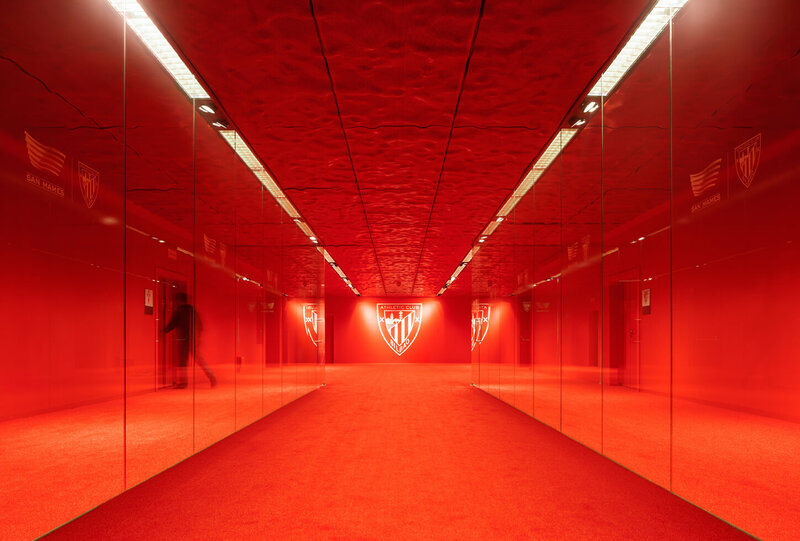 It is a representative space where the identity of the club is still alive with a solution in stamped, perforated sheet (IMAR Splash) finished in the shade of red of the Athletic de Bilbao club. The metal double skin is the perfect solution for large surface projects because it can be used in significant lengths and offers endless possibilities: from highly personalised projects to more standardised options, so the architect can achieve a result that is both functional and aesthetic with a unique personality. 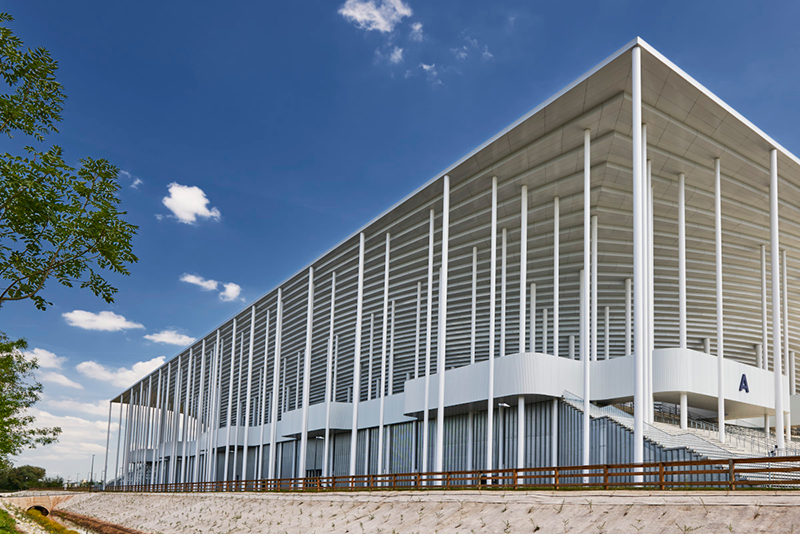 For the Matmut Atlantique stadium in Bordeaux, a project by Herzog & de Meuron, we developed large-size, highly-transparent, undulating perforated trays. These enclose the interior while providing great luminosity thanks to a high percentage of perforated area. For those projects that require a building extension and/or renovation, there are many options available to help the façade acquire a more modern, renewed image without the need for major expenditure. 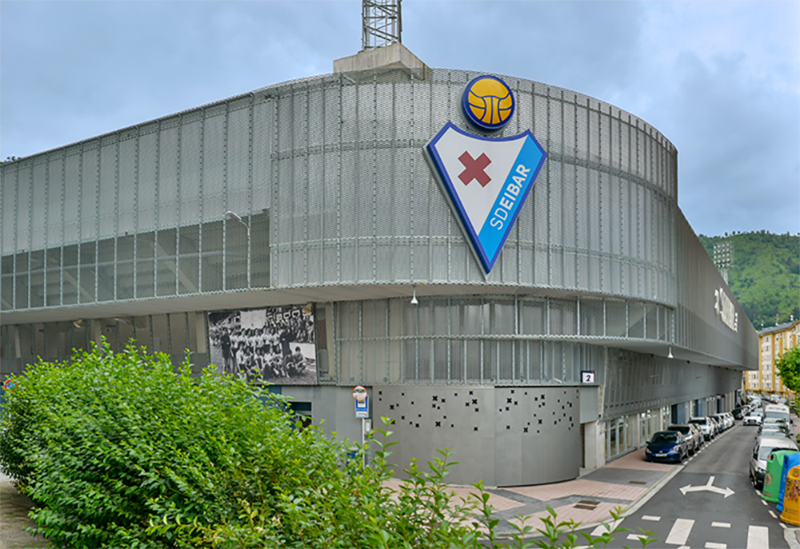 This is an example of the IMAR Air expanded metal façade at the Ipurua Stadium of the Eibar FC. It is an expanded metal enclosure with large openings, providing volume and architectural personality for the newly constructed stands.